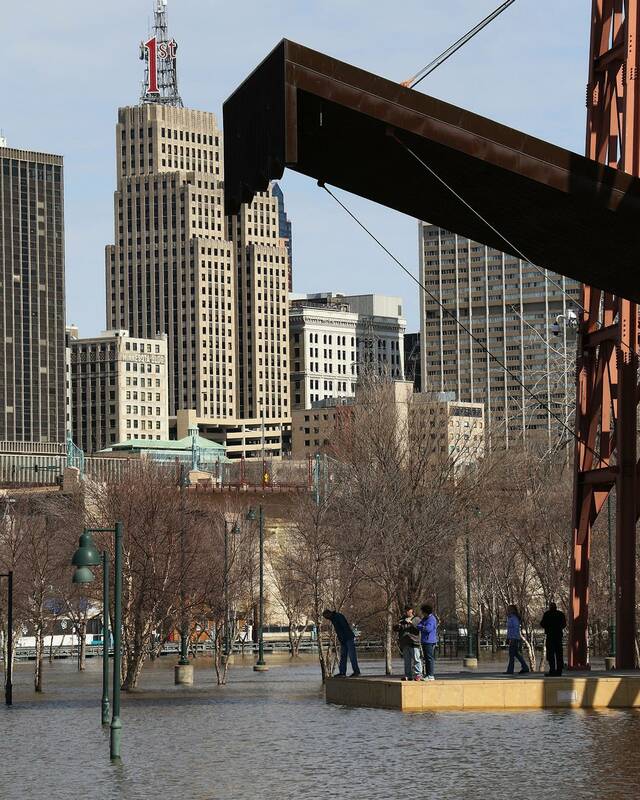 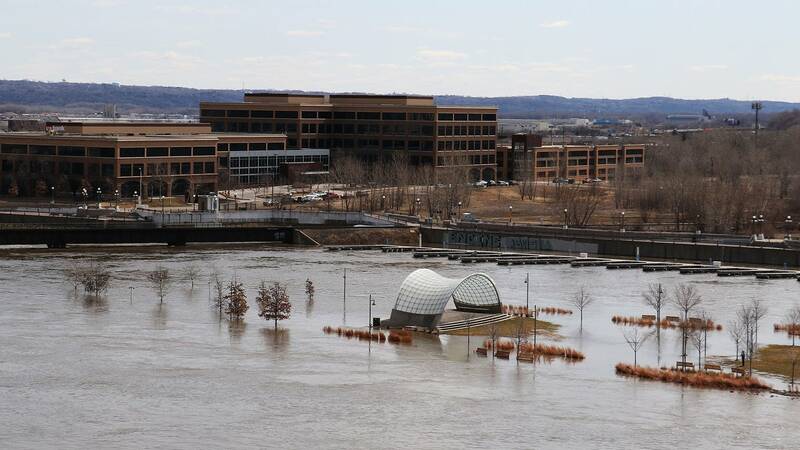 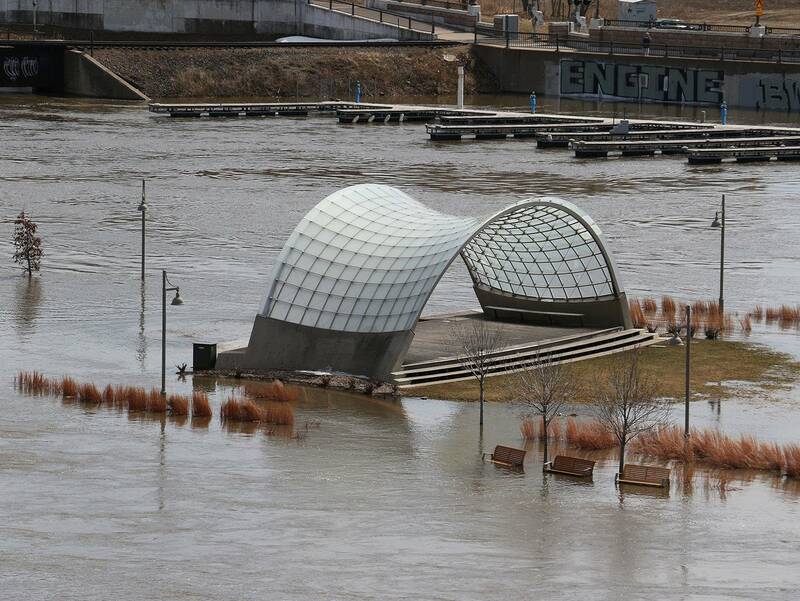 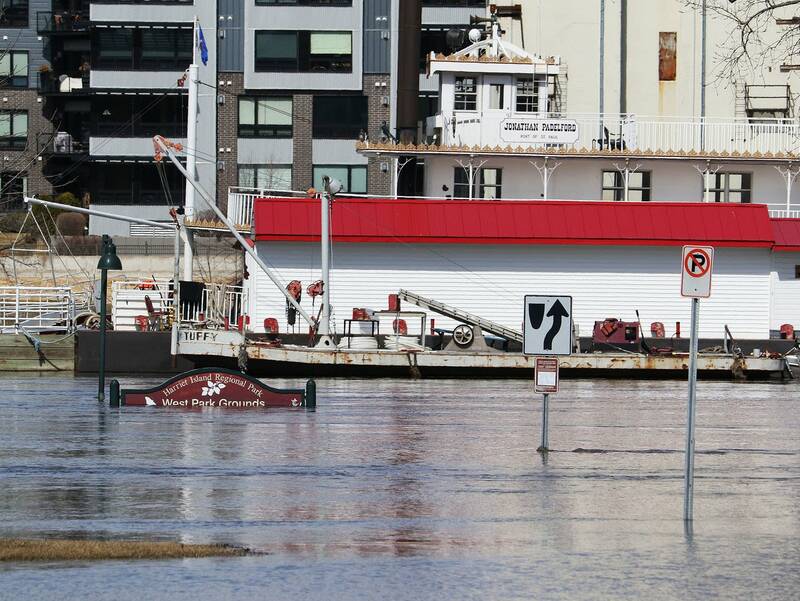 A steady stream of spectators gathered at downtown overlooks and at Harriet Island Regional Park in St. Paul on Sunday afternoon to witness the power of the Mississippi River in flood stage. 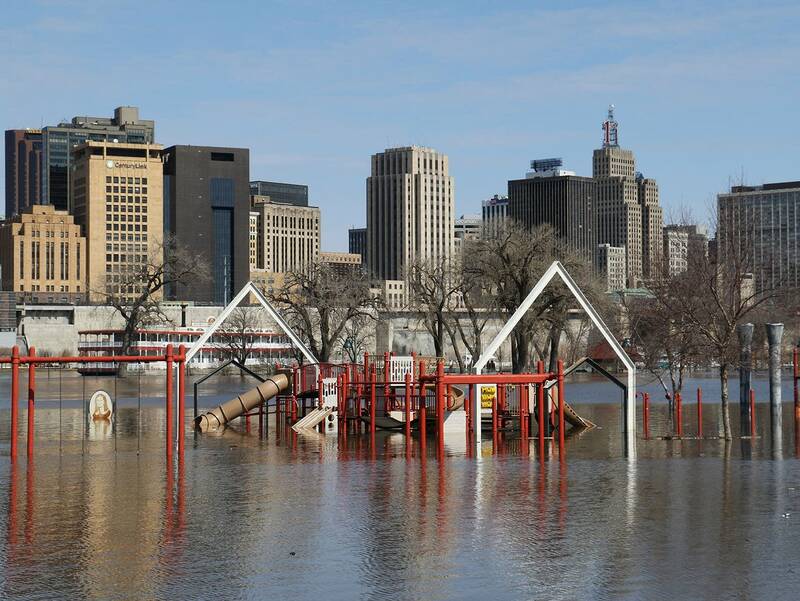 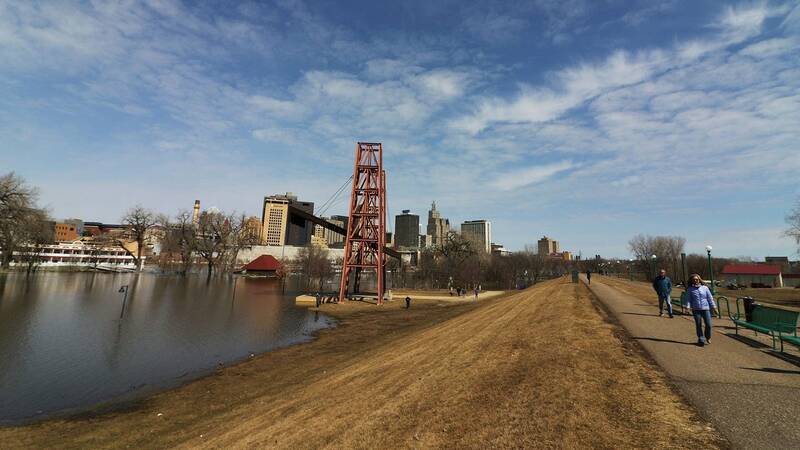 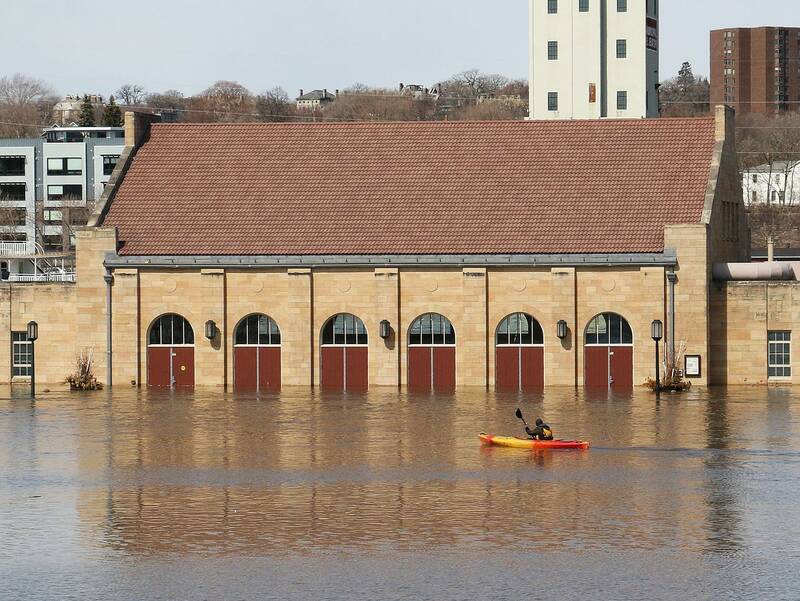 The river at St. Paul is nearing its forecast peak crest of about 20 feet. 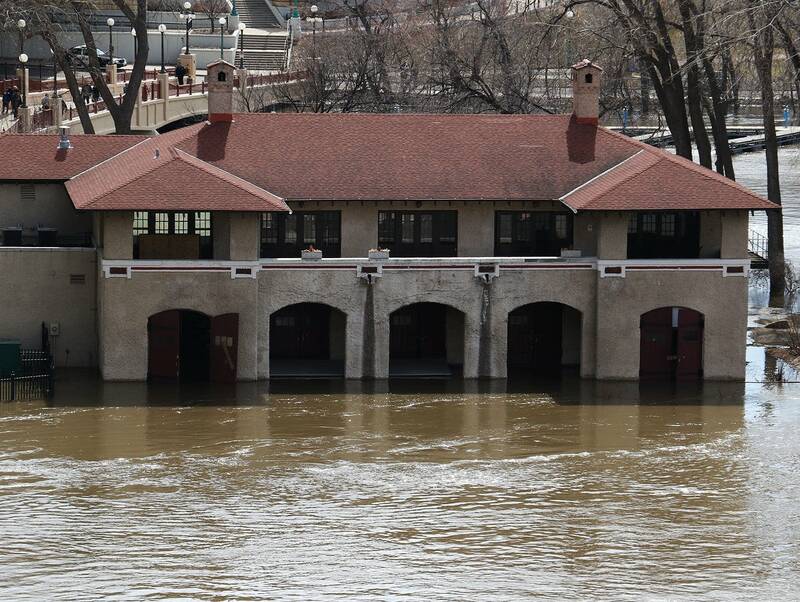 As of Sunday afternoon the river was running at 19.78 feet. 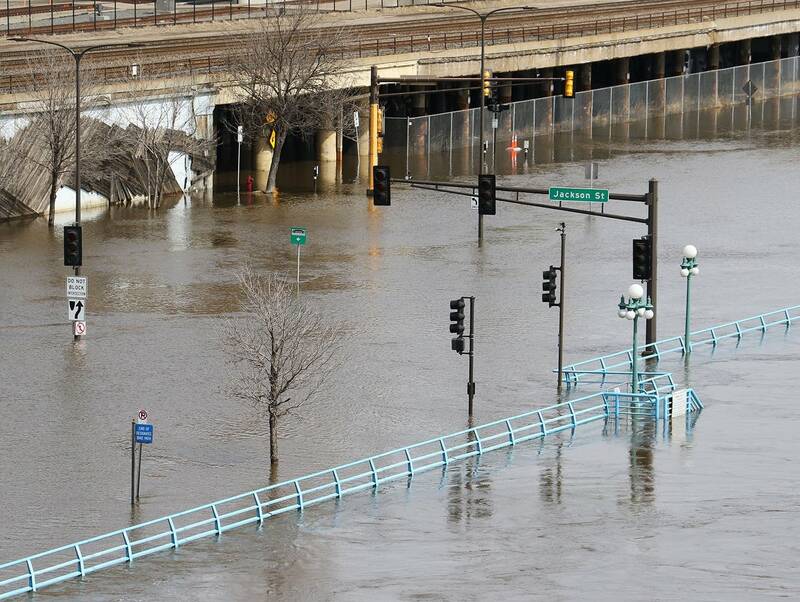 Flood stage is 14 feet. 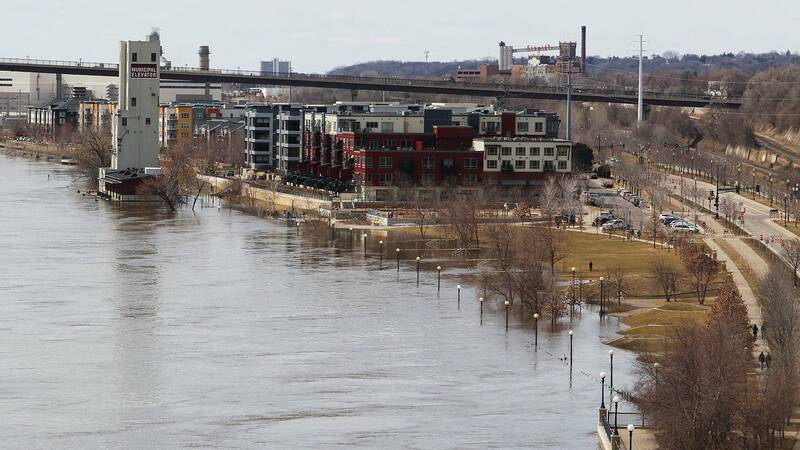 The river has inundated parts of Harriet and Raspberry islands, and has forced the closure of Shepard and Warner roads near downtown St. Paul.